Jared grew up in a believing family and became a believer himself when he was thirteen years old. He is the oldest of three boys and grew up in Novi, Michigan. At the age of fourteen Jared attended a camp in southern Michigan where Father first called him to be an “M” to the Mongolian people. While praying at the altar, he saw an image as clear as day of Mongolia in his mind. In that exact moment, the speaker that night said into the microphone that Father had just told him that one of the kids at this camp had just seen the place he was called to be an “M” to. This vision and experience has stayed with Jared since that time. He attended and graduated from Evangel University with degrees in “B” and “M,” and upon graduating felt a release from Father to go. He applied and became an “MA” and in July 2007 he boarded an airplane for Mongolia to begin a 3 and a half year term. Jared is passionate about building relationships, teaching, and building new “communities.” He taught several classes at the “B” school in Mongolia and found that to be one of his gifts. He also loves telling people about Father’s love through simply having relationships and loving on people. 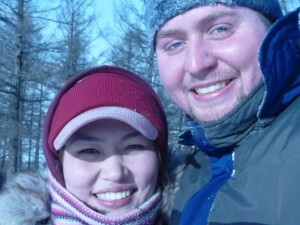 Upon arriving in Northern Asia Jared is excited about the prospects of sharing Father’s love with those who have never heard it and building new communities as this is a place with very few Mongolian communities. Web Development by Michigan Network Solutions, LLC.